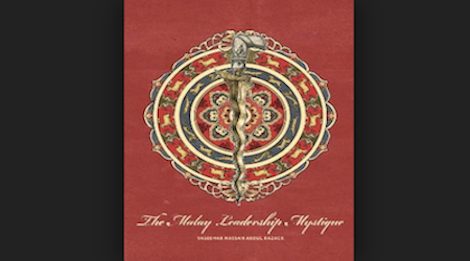 In his new book entitled “The Malay Leadership Mystique” (inspired by his mentor Manfred Kets de Vries' 2006 book, “The Leadership Mystique”), Dr Vaseehar Hassan explores why, despite their success in Government and the professions, Malays have underperformed as business leaders in comparison to other ethnic groups in Malaysia. Vaseehar’s study demonstrates the importance of cross-cultural, psychodynamic considerations in understanding and addressing the adaptive challenges faced by Malays in the business arena. The book explores the historical context and unconscious dynamics at play, including feudal and colonial legacies, and the influences of Islam and traditional value systems. Over the 600 years of Malay civilisation up to the end of colonial rule, behaviours associated with entrepreneurial success such as wealth accumulation and long termism were systematically suppressed. More recently, policies designed to encourage entrepreneurialism among Malays were based on Western capitalist values of individualism, the polar opposite of the collectivist leadership style that predominates among Malays. With a focus on providing access to capital rather than appropriate skills and mindsets, these policies failed to tap into these deeper value systems. Despite the high national priority placed on developing future business leaders, modern educational policies have largely failed the majority of ethnic Malays who cannot access an international education. Vaseehar concludes that improvements to national education are necessary to reverse the trend. As a Senior Associate of KDVI, Vaseehar focuses on top team alignment and organisational development, as well as executive coaching. To learn more contact info@kdvi.com or subscribe to our newsletter.